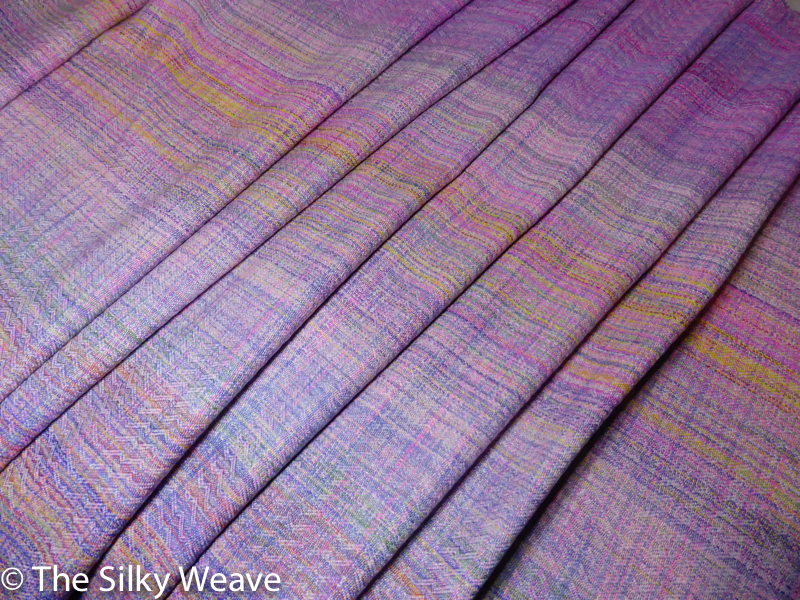 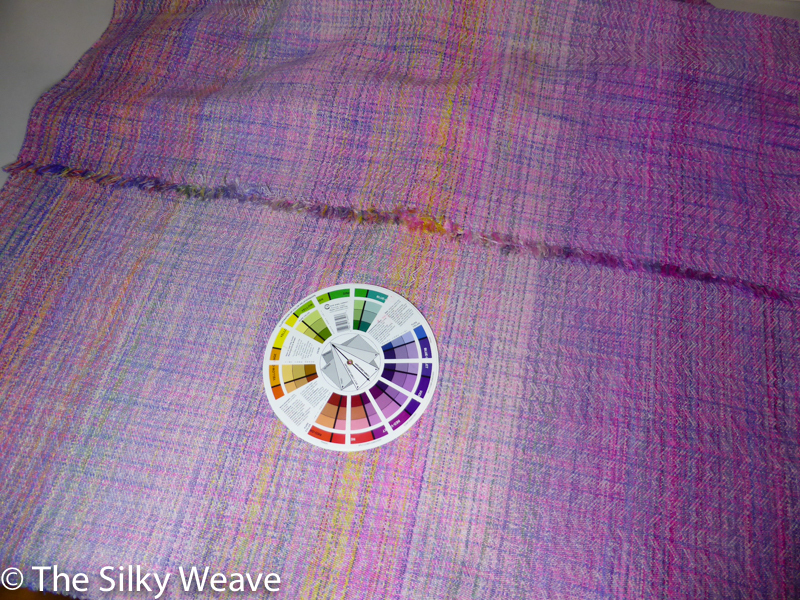 Mulberry spun silk as both warp and weft; hand-painted, bright and lightweight. 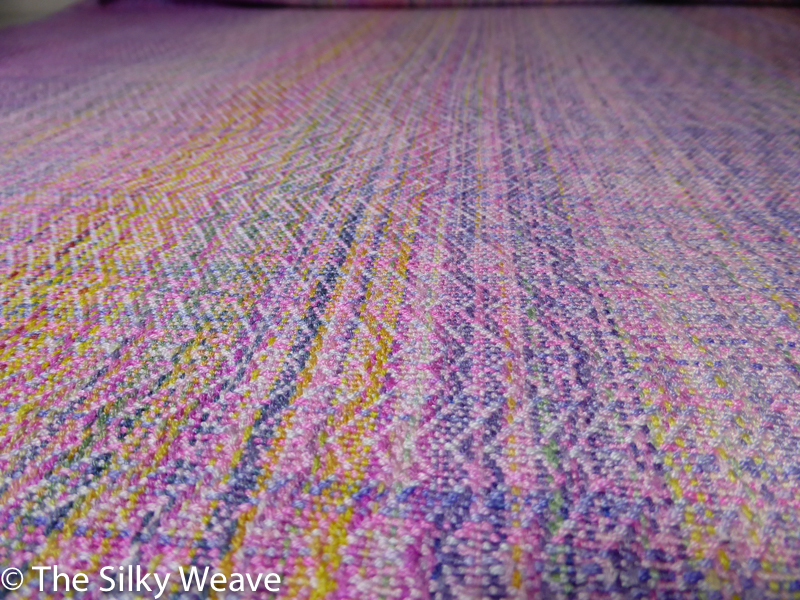 The weave pattern has lots of plain weave pieces in it, which gives 325 GSM. 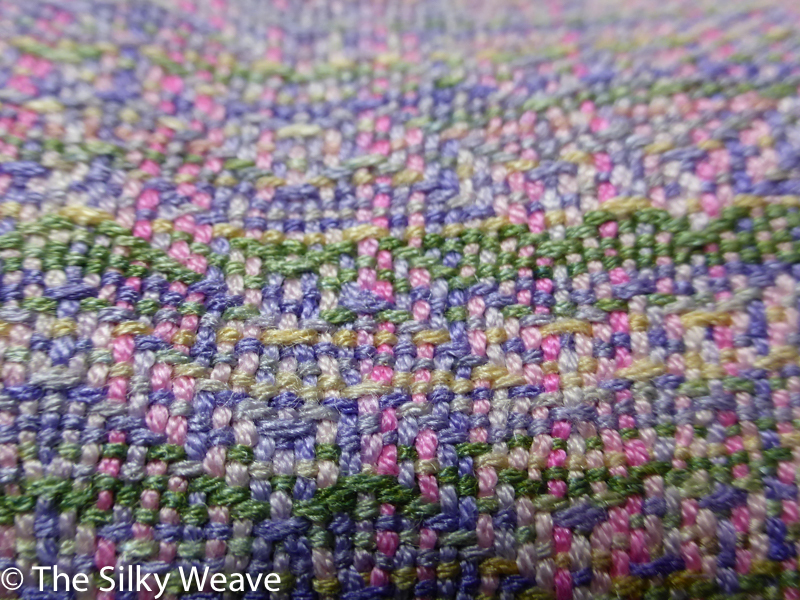 This fabric piece is available for purchase in my Etsy shop (link).